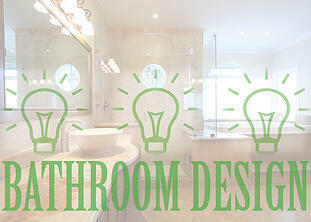 One of the places we tend to use a lot of water, of course, is in our bathrooms. Are there any innovations on the horizon that may be able to help Floridians (and others) conserve more water? There’s actually a rather interesting development coming from Sweden, where a technology company named Orbital Systems has created a household shower system that collects shower water that flows into the drain and purifies it—allowing the system to keep 90 percent of the water (as well as 80 percent of the energy consumed by conventional showers). The system uses a sophisticated filtering system with a pump directly beneath the shower drain in the floor. When soapy, used water flows into the drain, it's immediately purified (exceeding drinking purity standards) and pumped right back into the shower to be re-used again and again. Another nice thing about the system is that it operates at full pressure—unlike those annoying low-flow showerheads. Currently the Orbit system (which OrbSys is collaborating on with the Johnson Space Center at NASA) is only being used in Sweden, and is still in testing. But it gives you an idea of some of the innovations that are coming that can be adapted for everyday household use. We’ll keep our eyes open for additional development. To see the most currently available innovations—for bathrooms, kitchens, and other rooms in your home, visit our online showroom anytime!